David McIlmoyl, Managing Partner at ERP-One, was proud to take the stage at Collaborate17 with our customer, Johnston Equipment, to discuss how ERP-One helped Johnston implement E1 technologies to transform critical business functions. Johnston Equipment has been using JD Edwards since 2008 and has been a frontrunner in using EnterpriseOne latest technology enhancements to gain a competitive marketplace advantage. In this presentation, Johnston Equipment’s new Dispatch Management System (DMS) and Field Service Automation (FSA) solutions were demonstrated. 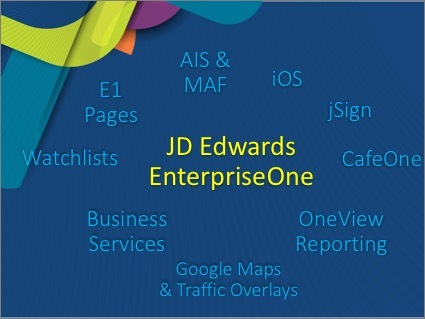 Their solution utilizes the following E1 technologies JDE Mobile technology using AIS, E1 Pages, CAFEOne, BSSV, OneView Reporting, Watchlists, and Google Maps with traffic overlays. 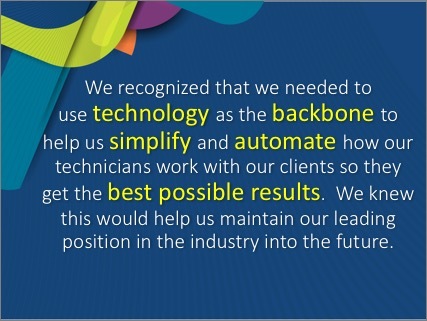 This presentation was a great display of how ERP-One’s technical expertise helps clients such as Johnston Equipment utilize the latest E1 technology enhancements to build market-leading business solutions. Questions or comments? Leave us a note below. Want to know more? Connect with us to book a private session with our team.